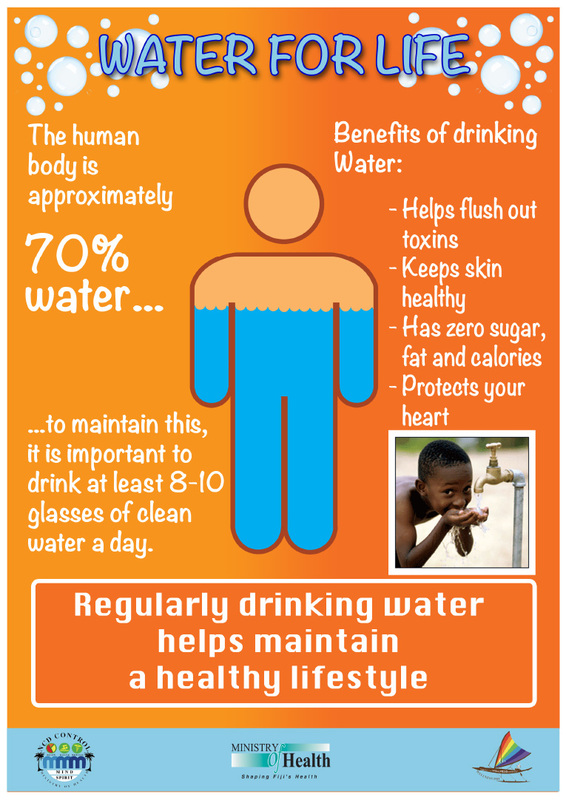 Why is staying hydrated Important? In fact, our bodies are made of between 50-75% water! 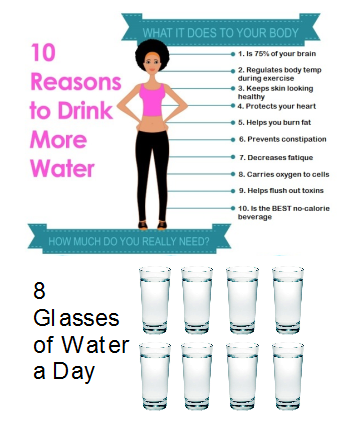 How much water you need each day depends on a lot of things such as your age, diet, level of physical activity and the climate. This means on warmer days, and when we are very active we need more water. As a general guide we suggest drinking between 1.5 – 2 L’s a day. This equates to around 8 glasses of water. 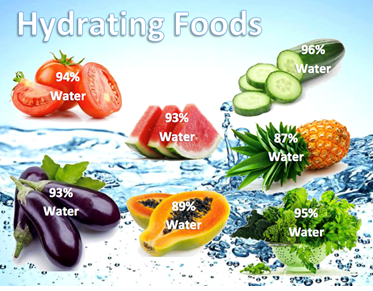 The good news is there’s also a lot of water in the food we eat, especially fresh fruits and vegetables. What happens if we get dehydrated? If left untreated dehydration can have serious consequences, especially for babies, children and older people. Our risk of dehydration increases if we are excessively sweating such as when we are out in the sun too long (especially in this hot Fijian climate), exercising, or sweating due to sickness. Other causes can include diarrhoea and vomiting as well as excessive alcohol intake. 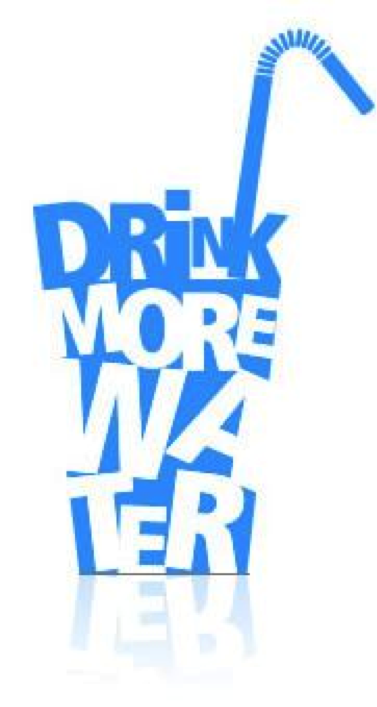 If you think you’re dehydrated you can normally fix it by drinking water or a bu (coconut water). It’s best to sip these regularly over a long period of time rather than gulping them down – drinking too much too quickly could make you sick. If you have more severe dehydration it’s important to get to a health centre or pharmacy and get rehydration sachet, salts or tables. Some people grab a sports drinks to rehydrate but these can have a lot of sugar in them which can actually mean they take longer to rehydrate you. It’s always best to stick to water, bu or rehydration sachets. For severe dehydration seek urgent medical help. If you have scales at home try weighing yourself before and after exercising. We can lose up to a whole Kg in an hour! Unfortunately this doesn’t mean we’ve lost weight for good- we’re just lost a whole lot of water through sweat. Try to drink as much water as the scales say you’ve lost to rehydrate. Soft drinks contain more than 8% sugar. This means they are high in sugar and the body has to actually use up water to absorb them, worsening your dehydration before helping it (same goes for most juices). Because they are fizzy they also take up to three times longer to digest and absorb compared to water. 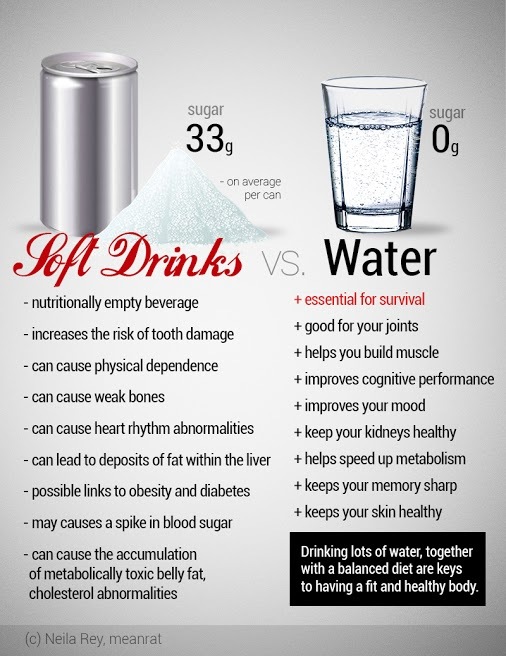 The high sugar content and fizziness mean soft drinks are a poor choice for rehydration.